Lovely , just what I was looking for. Glad I got it on sale. I LOVE IT! I purchased this after having terrible luck on that major online store with "Prime" shipping. This is actually much better in person than in the photo. The wood is bamboo; not painted to look like bamboo. It is very-well constructed. The finish is smooth and matte finish. The tray underneath is easily removed for emptying the contents. Certainly worth the money - especially when compared to so many other tray choices. I really enjoy this tea tray. Well made and great price! This is the tray. Pick this one. Excellent construction. Looks amazing. Works great. I think the bamboo construction was a perfect choice. 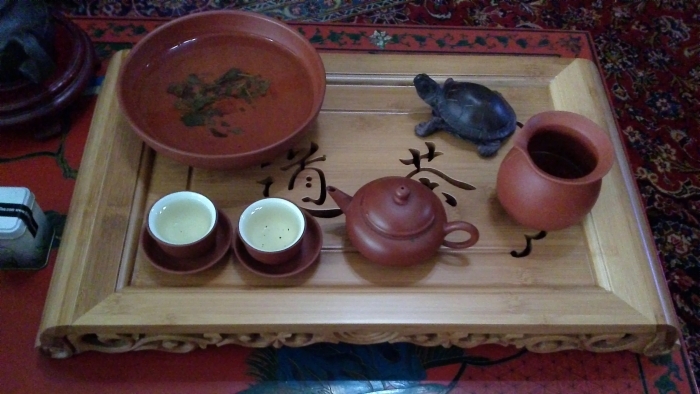 I love my new gong fu tray and use it every single day!! It stands up well to water being on it for extended periods. Soo happy to have found a really good one!! Tray holds every drip. Couldn't ask for more really. I've been looking for a larger tea tray to replace the one I have and this one is perfect! 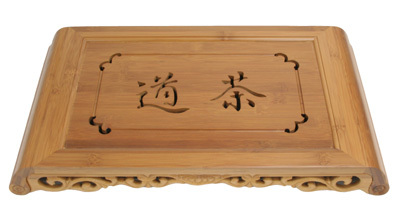 Good quality bamboo and the carving details are beautiful. This tray exceeded all my expectations. Quick shipping! This tray is absolutely beautiful and built to last! It really enhances the overall experience of enjoying tea, whether you're preparing it for friends or meditatively alone. It's worth is so much more than it's (comparatively) low price. Get this now-you won't be disappointed. It even comes with a coupon for a discount on your next purchase. The staff are incredible and obviously must take pride in their products. Good quality but a little bit pricy. This was a gift for my son's birthday. It was just beautiful & he was so happy with it! This tray is beautiful, the carve design is on one side and a pull out tray is underneath. It is as beautiful as the picture. 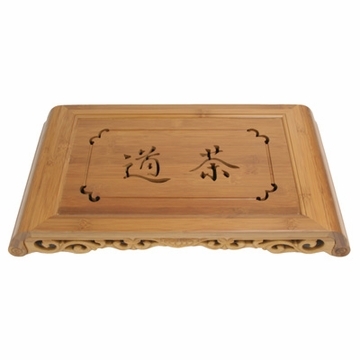 This tray is fantastic- great finish on the bamboo, and the carving is beautiful. Quick shipping too. Quality product. My wife, who traveled in Thailand, was ecstatic at the quality and design. This is an awesome way to serve tea. 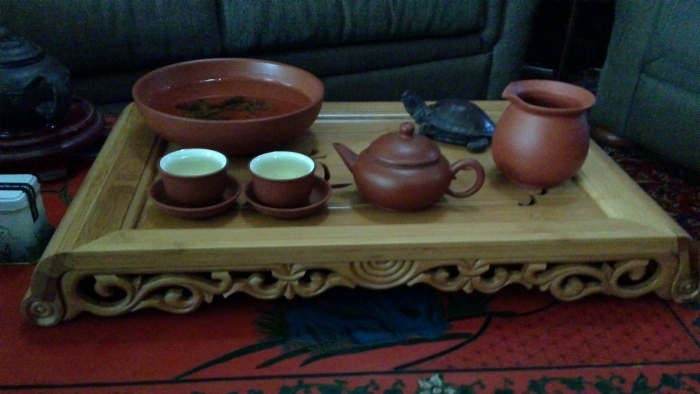 I would say that this tray or one very similar to it is a must have for anyone who wants to entertain in gongfu style. Well made and sturdy with no rough edges on the cuts. Truly a work of art well worth the price. The transaction was fast and the design in the tray is beautiful. I was a little disappointed that it had a slight crack on one side of the front and looked like it may have been returned and repackaged. I decided to keep it anyway. Too much trouble to send it back. This is a beautiful tray. It arrived promptly, well packaged, with no defects or rough edges. The surface is smooth and finished, and the top slots are cut sharp and clean. This has brought beauty and perfect functionality to my tea presentation. Do not hesitate to purchase this item, as it is certainly worth the price.